Last night in the bath, Vega and Lyra were laughing together because Vega said she looked like a radish spirit. 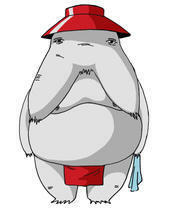 A radish spirit is one of the mythical characters that comes to the bath house in Miyazaki’s “Spirited Away”. Maintenance and the regular Steroid blocks have seen Vega’s weight go up and up. There might be additional issues with Vega’s stomach that also have contributed to this, but the fact remains that she is now pretty overweight. We recently had a letter from school informing us that they will be weighing and measuring the children as part of a national study. I was tempted to write a letter to opt out, partly because Vega and her weight are not a very useful indication of an average child and partly because I do not wish to get the letter saying “your child is obese”. I saw a picture of another small girl, on the same treatment as Vega, similar hair and same chubby cheeks. It is almost as if the medication have altered these little girls’ appearances. They look more alike than Vega and her sisters. Vega has a lot of treatment related ‘body hang-ups’. Besides the big one, hair loss, she also gets acne, has countless scars from all the infected sores, and her gums are receding, to name just a few. She has always dealt with all of them in a very accepting way, and this is not because she doesn’t notice. She was the one to call herself a radish spirit, because of her breasts and belly, so she notices. Whereas she was laughing about it in the bath, she does get upset if she can’t wear a pretty party dress because we won’t find one that fits. She is aware that she is one of the only girls in her class with short hair, and she told me that on her little profile photo in class she looks all spotty. She takes to these changes of her body with much grace. But it can’t be easy. Because we have three girls, she sticks out. Lyra and Alys look very similar, and so did Vega before she got ill. People look and talk about her often and whereas Lyra and Alys are often described as beautiful, Vega is “cute” nowadays. Her physical appearance is a constant reminder of her illness, both to her and us. 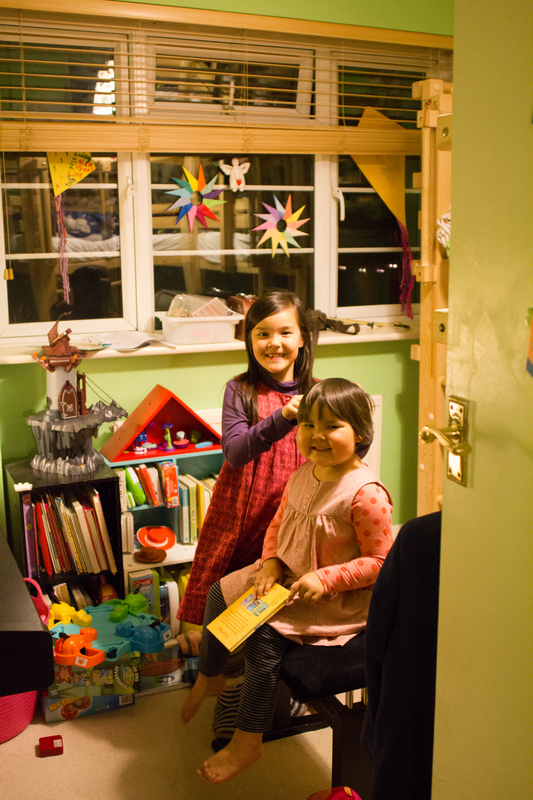 Her fifth birthday is approaching, and as it goes with dates I realized recently that she has been on treatment for a great part of her life. Almost half of it. I think even I have forgotten how she was before all this and it is hard to imagine that she will one day look more like the little girl we had before. Or maybe not. I do not know how long the effects of the steroids will be evident. Research suggests that children who receive steroids at a young age often struggle with obesity all their lives. Appearance is a big deal in our society. People are often judged by the way they look. I am sad to realize that Vega knows this, learned this at only four years old. The fact that she is on medication which makes her actually feel unwell in her body does not help in any way with accepting her appearance either. I think she is looking forward to being free of all this. To feel more like herself. She has begun to accessorize her hair, with clips and bands and I think that is her way to own herself. Just a year ago she would maybe say the odd thing about her bald head, but this year her understanding has grown. It must be very hard to find who you are when there is so much going on that is not actual part of you. For now she is a radish spirit. Vega at Lyra’s hairdressing salon. This entry was posted in On Treatment and tagged Maintenance, Steroids by allvega. Bookmark the permalink. I am wordless – mainly because it is just so bloody painful for her on all levels She is such a beautiful spirit – beautiful child, but no denying that treatment takes a horrendous toll.